We’re swooning over the amazing style we spotted in Italy’s most stylish city. 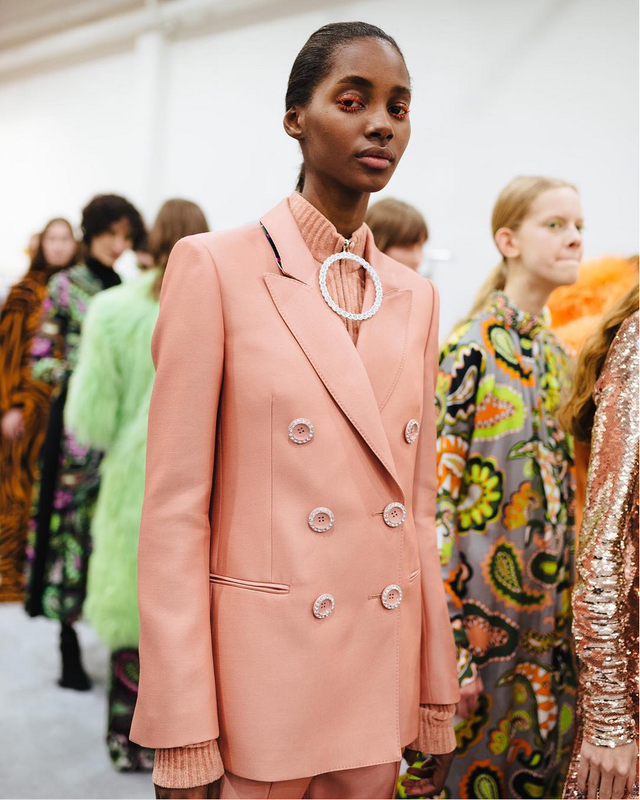 Now that New York and London’s Fashion Weeks are distant memories, Milan Fashion Week had its shine this past week and is coming to a close today. Before we prepare for the holy grail of fashion (a.k.a. 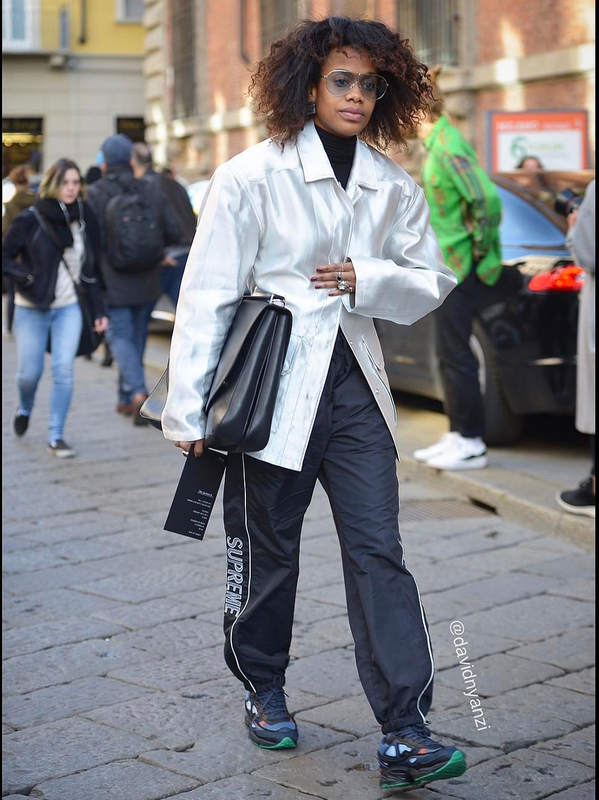 Paris Fashion Week), let’s take a look at Black models, editors and influencers who took over Italy’s global fashion capital and strutted the streets in style this past week. 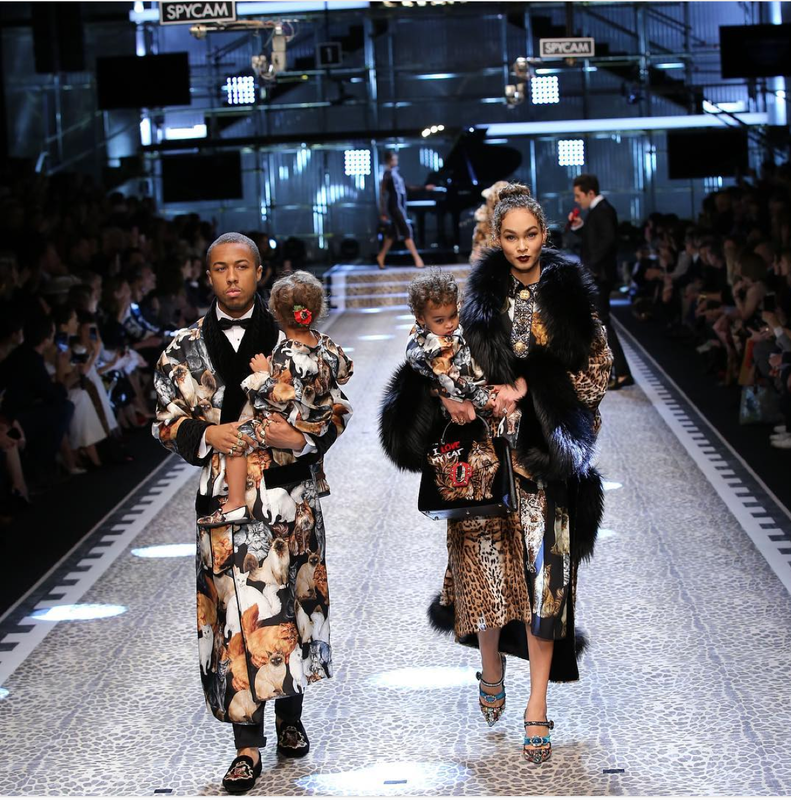 Steve and Majorie Harvey’s kids Amanda and Jason Harvey opened the Dolce & Gabbana Fall/Winter 2017-18 runway that incorporated real people and celebrated #DGFamily and #DGMillenials. 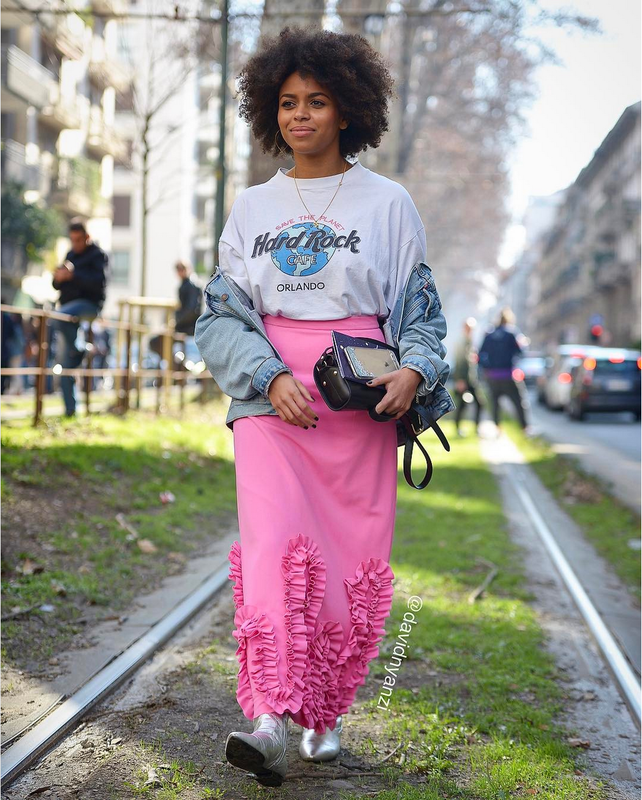 Majorie Harvey, who also hit the Dolce & Gabbana runway, absolutely slayed on the streets of Milan on her way to the Fendi show. 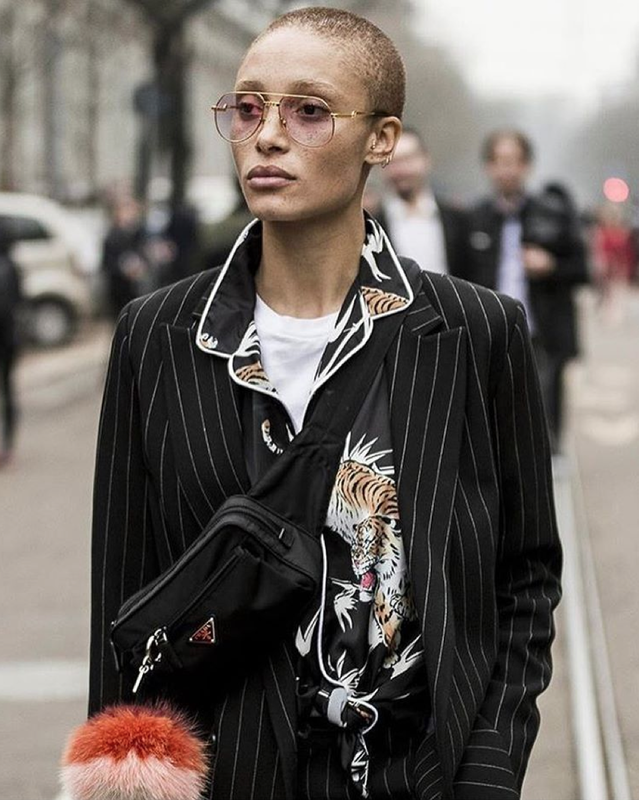 Model and activist Adwoa Aboah says goodbye to Milan in style. Jourdan Dunn also said “Ciao Milan!” while carrying the gorgeous Tod’s Sella bag, which is handcrafted in Italy. This gorgeous brown beauty killed it backstage before walking the Emilio Pucci catwalk. This beauty looks like she’s ready to take a selfie among the photographers. 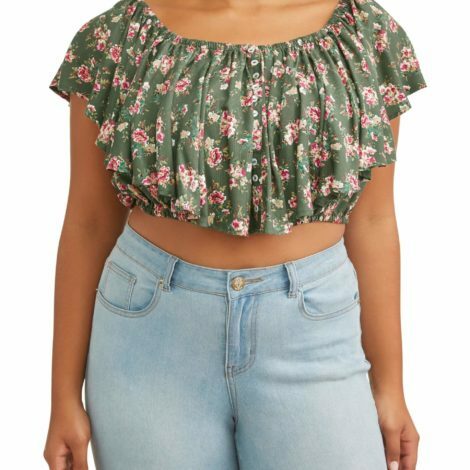 This model gives us body for days in Milan. Wagner Mela also photographed this gorgeous gal who is giving us natural #hairgoals! Photographer Wagner Mela snapped this beauty walking the streets of Milan. Models.com spotted model Amelia Rami wearing a Sandy Liang coat in all of her street style glory. 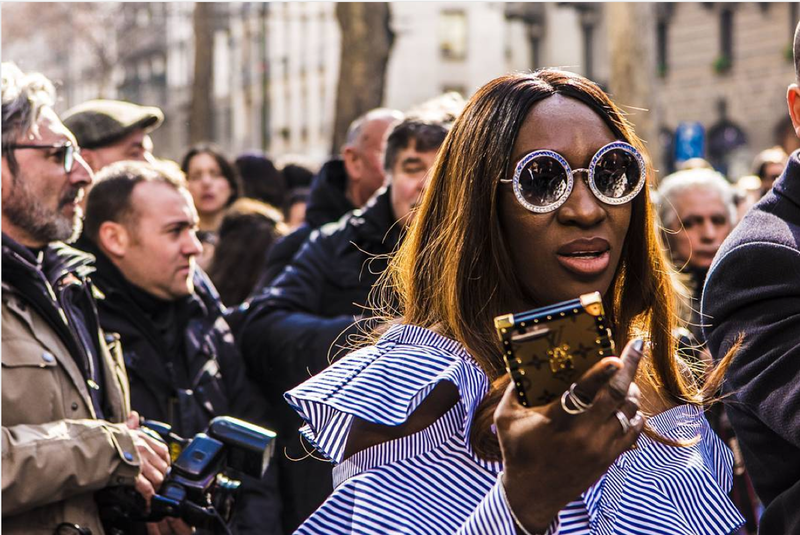 Photographer David Nyanzi caught GRAZIA fashion assistant Aminata Belli slaying as she headed to the Dolce & Gabbana show. Nyanzi also caught Jan-Michael Quammie, the fashion director of InStyle Germany, looking chic headed to Bottega Veneta. 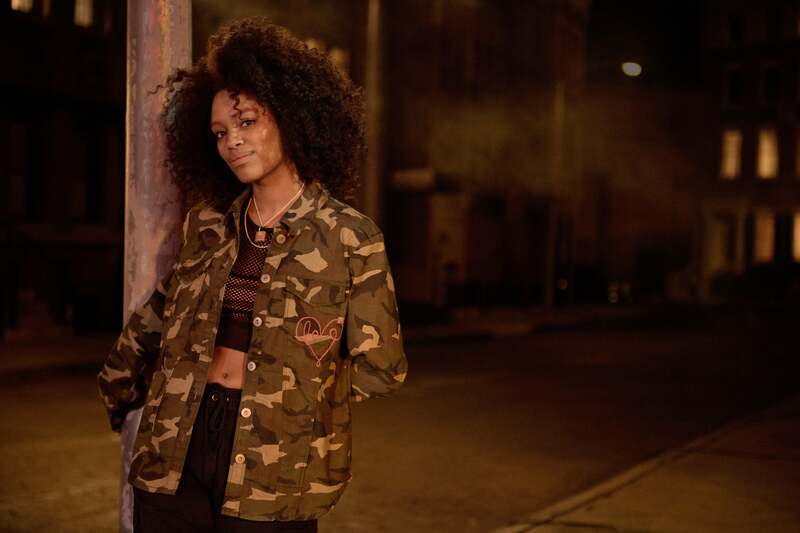 Tamu McPherson, founder of All The Pretty Birds and former EIC of GRAZIA, took over the Mercedes-Benz Fashion Week feed stories for Milan in sartorial fashion. Model Tami Williams is bundled up in style after the Giorgio Armani show. Manuela Sanchez also gave us this pretty street style shot with Lineisy before the Missoni show. 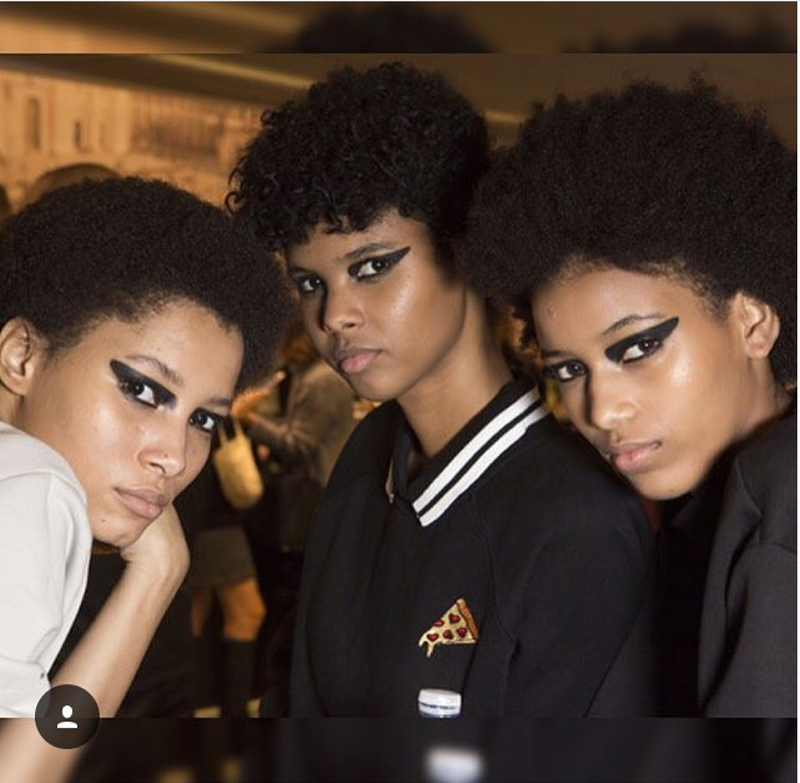 Dominican model Lineisy Montero posted a gorgeous photo with fellow Dominican model buddies Manuela Sanchez and Richie Beras.